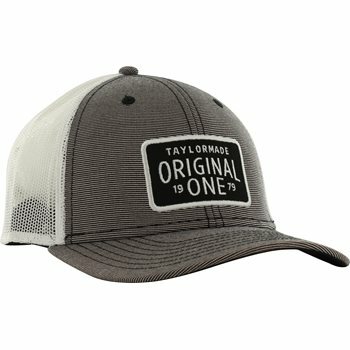 The TaylorMade Original One Lifestyle Trucker cap is a great addition for your game and lifestyle. Where it on or off the golf course for comfort, style and performance. The structured fit provides durability, the mesh back offers ventilation to help keep the head dry when sweating occurs, and the snapback closure allows adjustability for size and comfort. The cap is designed with a slightly curved bill to keep the sun out of your eyes and displays a TaylorMade “Original One” patch at the front.